Austerity in the form of homelessness is a particularly ugly manifestation of capitalism and especially neoliberal economic policies. The U.S. is a wealthy nation that lacks universal health care, affordable housing, tuition free education through college, child care, public transportation to get to said job in most areas, and a guaranteed minimum income -- all things other wealthy nations offer in exchange for taxes. 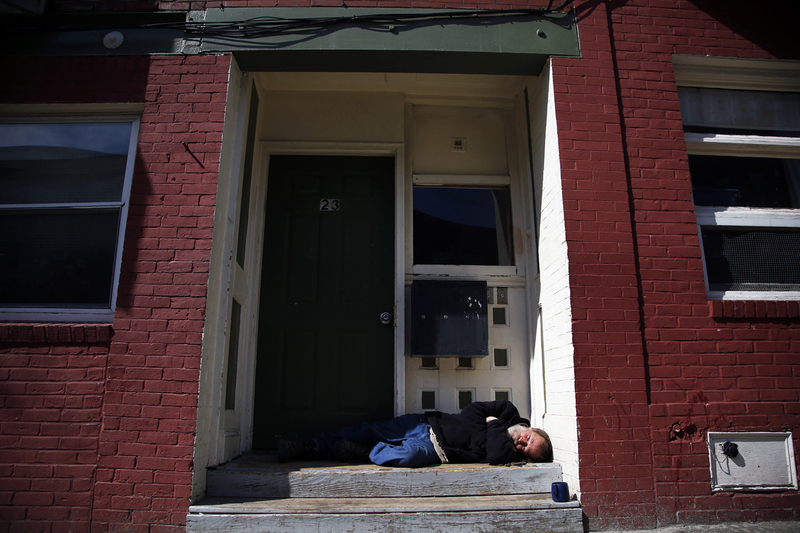 It's no surprise that, without these social safety nets, a lot of people end up homeless. 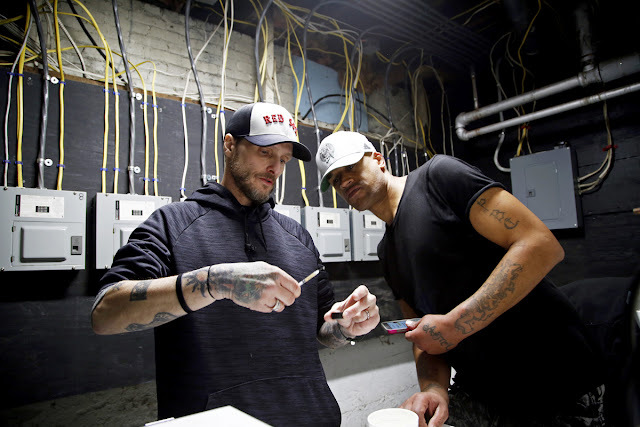 Some of them are addicts, and some suffer from mental illness -- and neither of those health conditions is adequately addressed by federal, state or local governments. Many homeless men and women are veterans of U.S, imperial wars, who joined out of economic distress in an attempt to get a college education afterwards. Or maybe just a pickup truck. So when NIMBY motivated residents in, say, Los Angeles, pitch a fit about locating temporary emergency homeless shelters in their neighborhood, they look callous and uncaring. But the reality is that a homeless shelter can turn a neighborhood into something a homeless veteran described as worse than anything she had ever seen in the many other countries she had visited. As explained by social workers, it's the predators who move in to exploit vulnerable people who do the most to erode living conditions in the blocks around a homeless shelter or soup kitchen. No one who has heroin addicts congregating in their apartment's laundry room to shoot up can be blamed for objecting. Those of us fortunate enough to own our (mortgaged) homes watch with dismay as the value of our property falls away when a homeless shelter is introduced to the area. These structural problems with the U.S. economy are not accidental. When homeless people and working class homeowners are pitted against each other, the wealthy can sit back and watch the show. I'm reminded at times like these of the Occupy Oakland revision of Gloria Gaynor's old disco hit: I Will Survive...Capitalism. The line "we fight each other with the pieces of our broken hearts" has stayed with me since I first heard it during the heady days of 2011's Occupy Wall St. movement. While the demagogue with bad hair initiates trade wars with friend and foe alike, austerity like nothing we've seen in decades is waiting in the wings. Military spending gallops along, and state lawmakers fall all over themselves offering tax giveaways to weapons manufacturers. Will we make common cause and support each other, or fight it out while the wealthy continue to hoard housing, health care and higher education for their families? My husband asked me recently what form of education I thought could possibly equip children to face the world of climate collapse and food shortages looming on their horizon. He's a grandparent but not an educator, and he's asking me because I'm a teacher struggling with the unmet needs of my high poverty school. Learn to be flexible problem solvers and, above all, learn to cooperate and collaborate with other people. Those are the main skills I can think of passing on for survival in the cruel new world we're passing on to the children. Who know what tomorrow will bring? Our love and intelligence are the only things we can really count on. Exactly the right Question, and the answer is one that I have thought about for a long time. You put it very well. I see my grandchildren living in San Diego on the opposite side of the country, as I live in near the middle and some South. I have been involved with the renewal of the Poor People's Movement and am concerned with the small numbers at the rallies. On the other hand the sweet determination of the core organizers, and the growing numbers, give me hope. Last Monday, while the 23 people lay down on the rain drenched cross walk between the TN Legislative Plaza and the Capitol Building, thousands of the 45 supporters lined the sidewalk on the other side of the street waiting in a line 4 blocks long to see their oligarch of choice. Talk about fighting with pieces of our broken hearts, that is a truly graphic example. As usual, Eliz, you are right on point. Thanks for the report on the Poor People's Movement in Tennessee and for your work to find hope and share it.